We are all operating on a series of signals. Each of us- individual radio towers with our own transmission system. The offense of my high-school football team ran off of colors and numbers. The numbers told the different positions where to go, what to do, and when the ball would be snapped. Every week there was a different “Hot” color. The “Hot” color meant that if this was said at the line of scrimmage, everything that came after that was about to be suddenly implemented into the next play. For example, if the “Hot” color was blue and the QB yelled, “Red 42, Red 42”– nothing changed from what was called in the huddle. However, if he yelled “Blue 58, Blue 58”, the play had been altered to 58-Blast and the snap count had been changed to three. Most of the things that the QB yelled at the line of scrimmage were fairly arbitrary but necessary to keep the signal code from being deciphered by the opponent. You had to pay attention, all the time. Even though the “Hot” color was only implemented a couple times per game it was still imperative that you be prepared to act and adjust accordingly. There was one more audible in our offense and that was the word “Fire”. If at any point in time, the QB yelled “Fire”, that meant that someone on the defense had fouled up, played too far off of our incredibly quick receivers, and they were about to get burned. “Fire” was the big, black, ace of spades. It superseded everything. “Fire” meant to act now, someone had made a mistake, and we were about to capitalize. There was nothing sweeter than hearing the word “Fire” moments before trying to put your helmet through your opponents’ teeth. “Fire” made your eyes dilate and all the adrenaline rush through your veins. You were too far in the trenches to see exactly what was going on, but like Pavlov’s dog, it was equivalent to his bell and the response was the same. 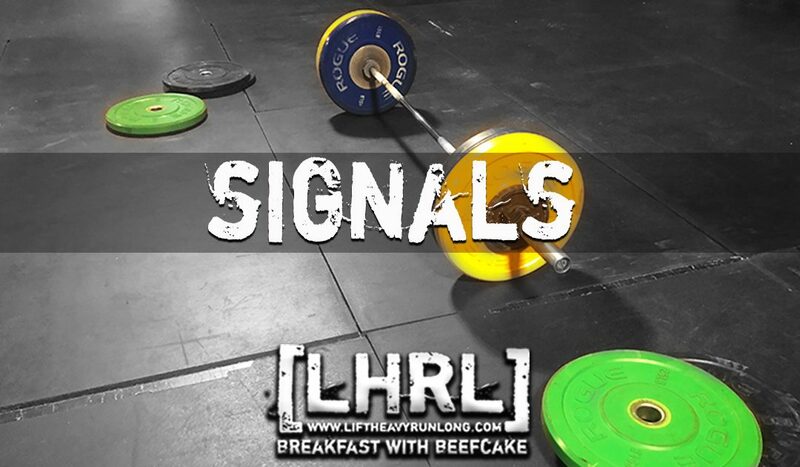 Most signals are fairly benign and have very little impact. It’s important that I don’t alter my course because of every single transmission. It is important that I am aware and ready when the signal is cast for me to strategically change the way I am progressing. Every day is a series of hot signals and audibles combined with meaningless jargon meant to throw me off course. But every so often, life throws you the “Fire” call and you know exactly what to do. Those are the times when you can’t be exactly sure what is going to happen but you just know that it has to be something good. Nothing beats the excitement that follows “Fire”. If you are not paying attention and keep running the same boring plays, day after day, you might miss the opportunity.